Summer time, to me, screams fresh fruit, and (if you couldn’t tell from my fruit filled posts recently) I love every minute of it. 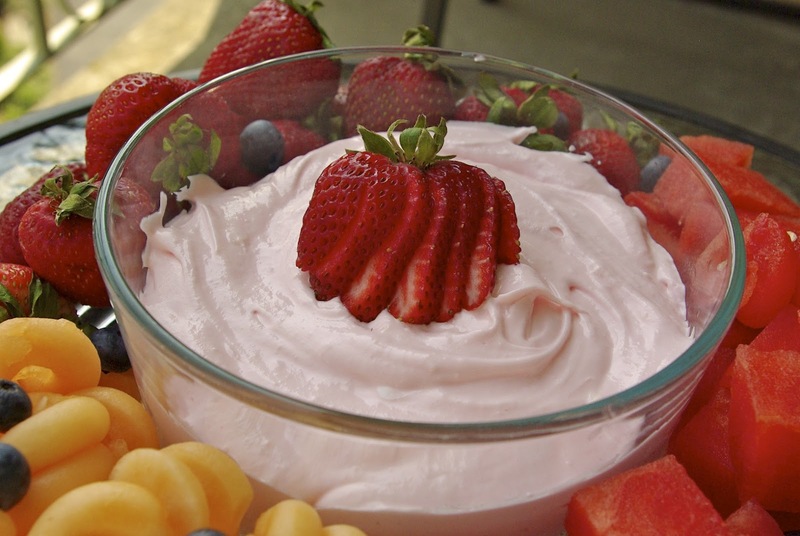 Well today I have yet another way to enjoy this sweet treat of summer, and that’s in a wonderfully easy, smooth and creamy fruit dip. YUM! Admittedly, I am not breaking any new culinary grounds with this post. In fact, I am willing to bet that you have had this dip before. Perhaps it was when you were younger at a summer block party, or maybe it was on a fruit tray at the last shower you attended. For me it was the former. I can remember gobbling it up at our summer cul-de-sac parties as a child; it was always my favorite treat. Until recently, however, I never knew what went into this incredible dip, and I often resorted to the store bought stuff, which is simply not the same. The other day, this problem was solved. 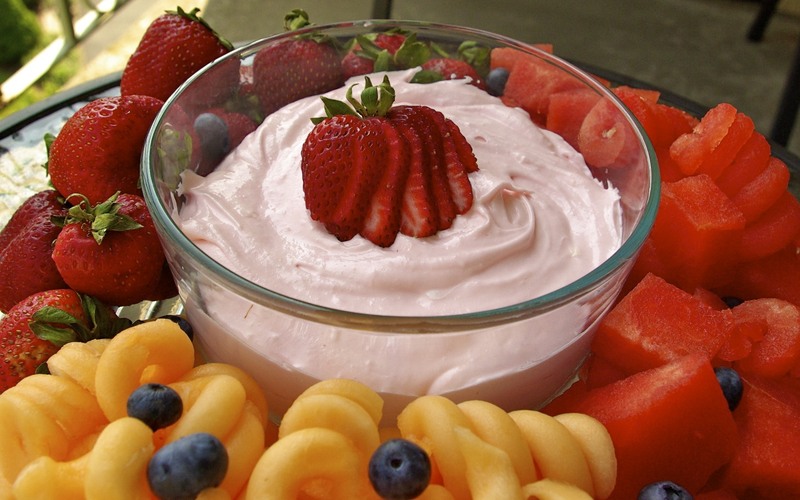 Paging through an old church cookbook from decades ago, I came upon a recipe for fruit dip. Sweet, creamy, smooth and all around delicious, this wasn’t just any fruit dip, this was the fruit dip of my childhood. I was ecstatic. The best part, however, is how easy it is to prepare! 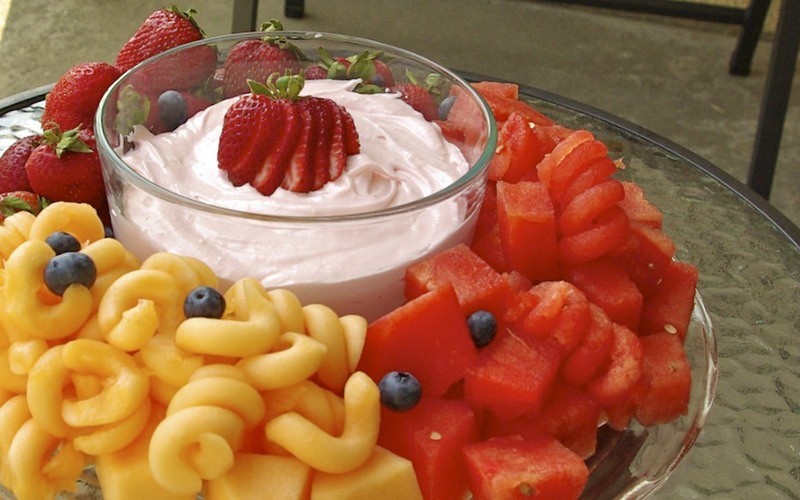 In less than five minutes, and using only three ingredients, you have a perfect fruit dip that is sure to please even the pickiest of eaters. 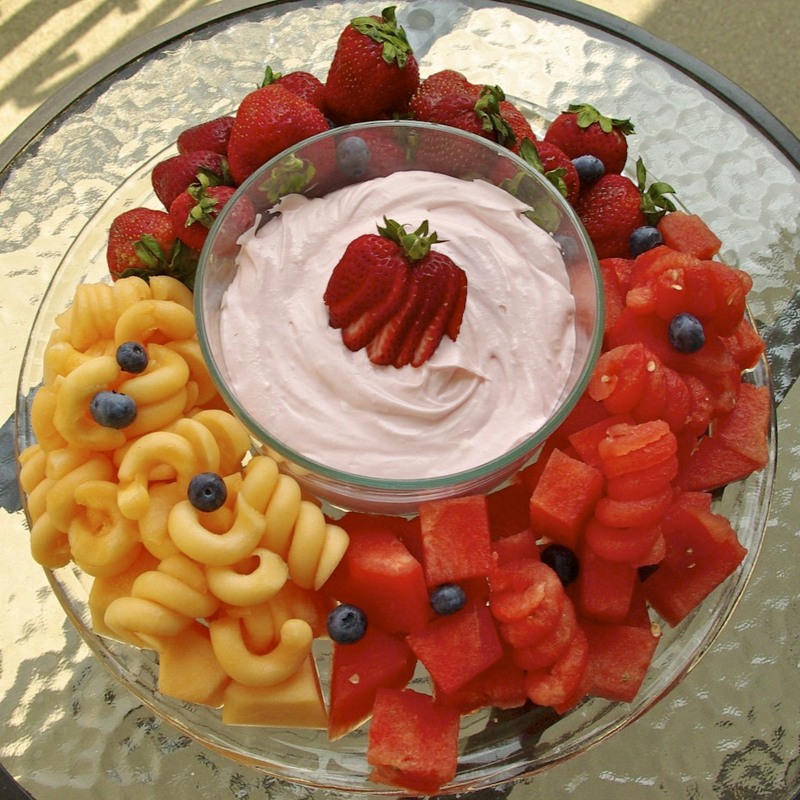 Do you remember this fruit dip from your childhood? Let me know below! Paula’s Notes: I used regular cream cheese in this recipe and put in two drops of red food coloring to give it a pretty pink hue, as that is how I remember it as a child. However, you could also use strawberry cream cheese for a fruity twist, which would be equally as delicious. Also, to lessen the incredible stickiness of the marshmallow fluff when getting it out of the jar, simply spray a rubber spatula with cooking spray, and scoop to out! In a large mixing bowl beat together marshmallow fluff and room temperature cream cheese until smooth and creamy. To lessen the stickiness of the fluff, spray a rubber spatula with cooking spray and scoop the fluff easily out of the jar. Fold in thawed whipped topping until fully incorporated. If desired, add in two drops of red food coloring for a light pink hue. This looks wonderful Paula ! I've had this too. Sadly, something about it just doesn't work for me. HOWEVER, your plate looks delish. How did you get your melon in curly-cues? That's so cool. I love it! I bet it if you used it on zucchini you could make a really awesome zucchini "pasta."